Is Soy Good or Bad? I’m a pretty big fan of pumpkin pie, so I’ve been extremely interested in finding a good vegan pumpkin pie. This cookbook just happens to have the best vegan pumpkin pie recipe that I have EVER tasted! Mushroom Gravy- my husband really loves this one! As you can see, the recipes don’t have fancy names. They usually don’t have fancy ingredients either, which I like. My ONLY complaint would be that sometimes they call for processed products (such as Better Than Sour Cream). However, a lot of the recipes don’t, and often you can make your own substitutions. 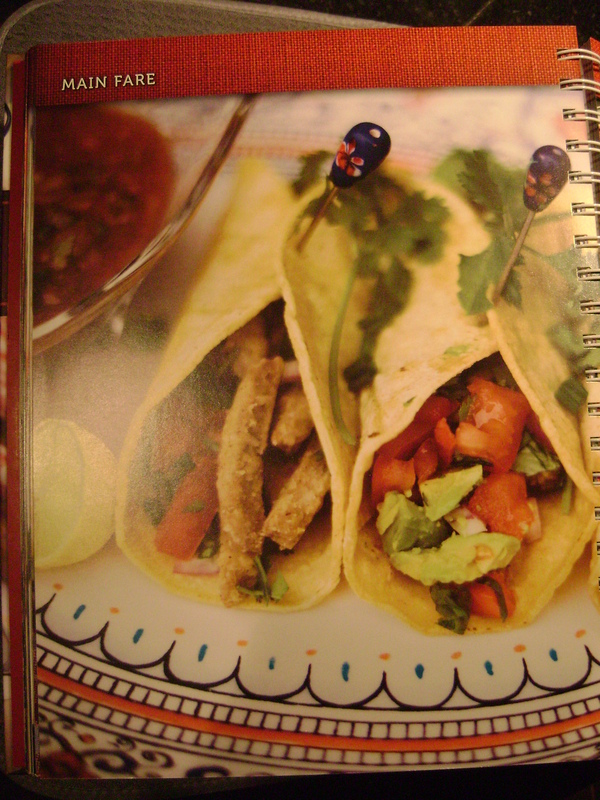 Oh, and here’s the really great part- EVERY recipe in the book is accompanied by a full-page beautiful color picture of the finished product. As a visual learner, I really respond to this type of cookbook, and so do my digestive juices 🙂 I also love that the cooking directions are simple and to-the-point. Read-with-a-dictionary words can be fun, but not when I’m a hurry to get some dinner on the table. Here’s something you can try at home right now- a mushroom gravy recipe that I adapted from the one in Naturally Gourmet. Blend water and cashews until creamy. Add cornstarch, vegetarian chicken seasoning and salt. Blend well. Add mushrooms and blend briefly. Cook gravy in a kettle until thickened, stirring frequently. Serves 6. Many of the recipes in Naturally Gourmet use their version of this basic gravy recipe. I changed it just a tad based on the ingredients I preferred or usually had on hand. It is delicious over mashed potatoes, in a vegetarian pot pie, or over toast! 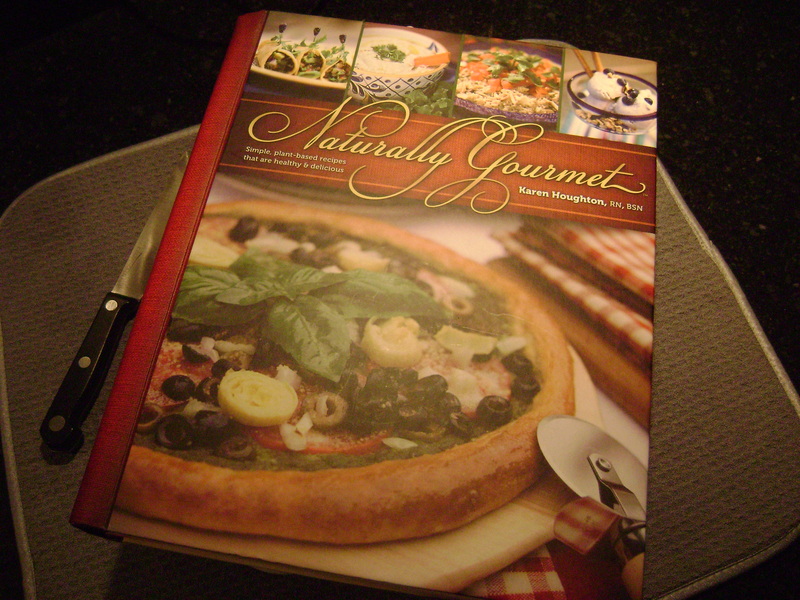 If you like it, I would highly recommend this cookbook, especially if you’re new to vegan cooking. It’s my current go-to when I’m looking for weekday recipes to try. 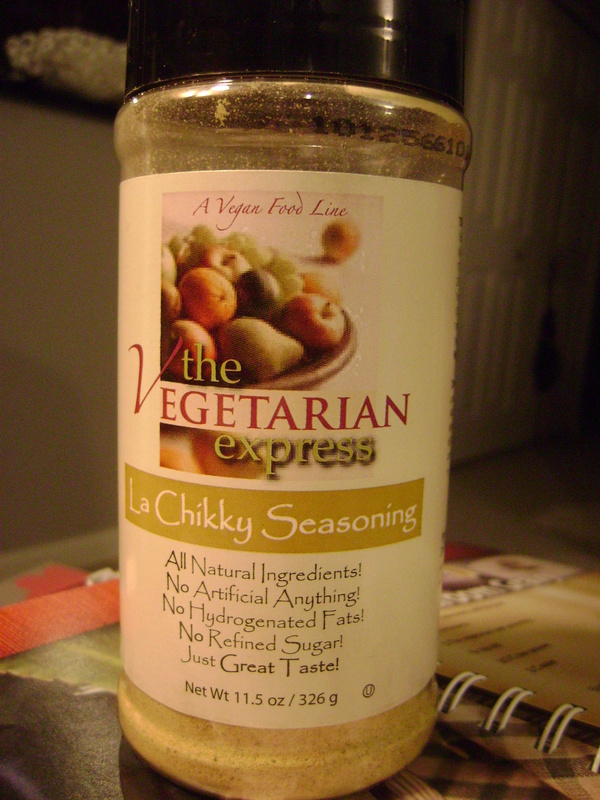 This entry was posted in Cookbooks, GMO, Recipes, Vegan and tagged Karen Houghton, La Chikky Seasoning, Naturally Gourmet, non-GMO chicken seasoning, vegan cookbook, vegan cooking, vegan mushroom soup, vegan recipes, vegetarian chicken seasoning by travelnole. Bookmark the permalink.